Although Google and their Google Android Smartphone Platform has taken a lot of strides forward within the past two years in the mobile application industry, many mobile application developers and mobile app “experts” still claim to have issues with Google’s Android operating system despite the fact that it is growing popularity. Reports which were released earlier this year showed that the Android platform had gained 51.6% share of the mobile market compared to Apple’s 46.5%. 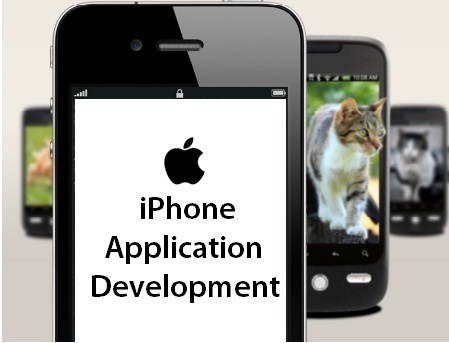 At the same time, Android’s growing popularity and the public’s adoption of Google’s OS brings many challenges to mobile application developers which are not prevalent in other Smartphone/Tablet platforms such as Apple’s iPhone application development platform. Some prominent mobile application developers and mobile app “experts” claim the main issue which mobile app developers are experiencing with the Android platform is the fact that the Android operating system seem to have the biggest range of devices they work on and each of these platforms have different computer processing units, camera qualities, screen sizes and screen resolutions. Different Screen sizes on various Smartphone’s seems to be a major issue with mobile application development as some mobile app developers believe that it is difficult for them (mobile app developers) to develop and design a mobile application for an operating system with 16 different screen sizes. Another issue which some mobile app developers are having with android application development is the rapid release cycle of Android devices and operating systems. Some mobile application developers feel that Android releases new operating systems and devices so quickly that it is hard for a mobile application developer to properly learn a specific operating system (for mobile application development) before a new one is released. For example, Android released its 4.0 operating system in October 2011 but the new Android 5.0 operating system is expected to be ready for release as early as the second quarter of 2012; this offers very little time for a mobile application developer to grow familiar with a current operating system before having to re-learn a new operating system. Although Google and the Android operating systems continue to gain popularity with the general public, the issues which mobile application developers and mobile application development “experts” are stating is something which Google must take into consideration. Yes, the general public is continuing to purchase Android devices and increase the sales for these Smartphone’s but one of the main reasons for the popularity of these devices are due to the large mobile application marketplace and mobile applications which users can download onto the devices; if mobile app developers start to feel that it is too difficult to develop these mobile applications for the Android platforms, then there is a chance that less people will be attracted to Android devices if there are not any new mobile applications for them to download and utilize.